On arriving at the venue to request my reviewer’s pass i was asked why a webzine like Planetmosh would want to do a write up of The Damned. Maybe it was my long hair that got the question asked but at the end of the day I love The Damned, have seen them a handful of times over the last 20yrs and always left their gigs wanting to see them again. They were even awarded an outstanding contribution award for services to rock music over 36yrs by Classic Rock magazine in Nov.2012. Formed in 1976 and cited as releasing the 1st ever UK punk rock single “New Rose” they have split and reformed a few times with the current line up being together for just under 6yrs now. It would be unfair to just tag them as a punk band as to my ears there is a lot more to them with a smattering of garage rock, psychedelia and goth all thrown in amongst the unique guitar work of Captain Sensible and inimitable vocals of Dave Vanian. The gig was completely sold out which highlights the popularity of The Damned after all these years with Buckley being the 4th gig on a 15 date UK tour during Nov/Dec. The unenviable task of opening the show to a partisan crowd fell on Ruts DC, originally formed in 1981 when The Ruts split up and after a lengthy hiatus, reformed in 2012 and have not played with The Damned since 1980. I never got to see them 1st time around and their reggae/punk mixture gives them a unique sound. The venue was slowly filling up as they opened with Mighty Soldier and their well received set of new and old songs hit the spot. 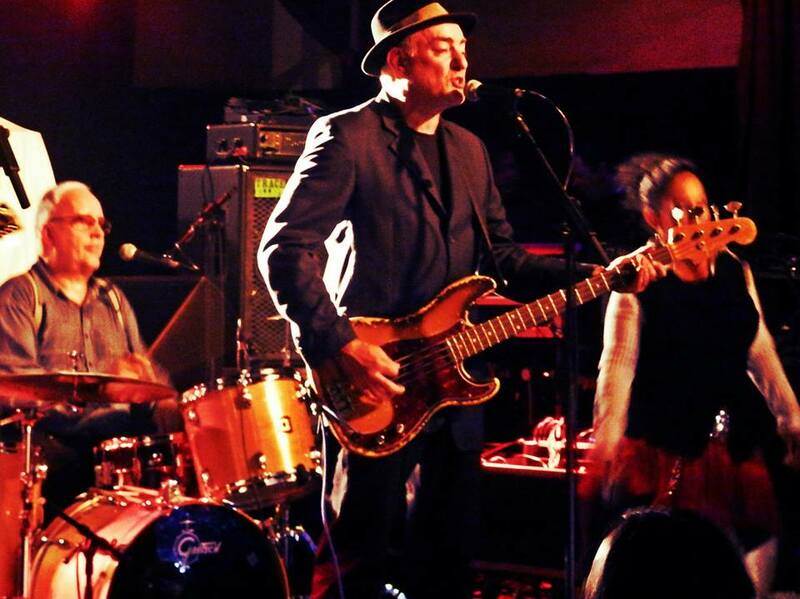 Ruts bassist John “Segs” Jennings also handled lead vocals, his chirpy banter winning over an ever increasing crowd with 2nd Ruts member Dave Ruffy on drums ably backed up by the soulful vocals of backing vocalist Molara Owen and Leigh Heggarty on guitar. Their set seemed to be over far too soon with highly charged performances of “Staring At The Rude Boys”, “Babylon’s Burning” and “In A Rut” being personal highlights for me. The sound was near perfect, the band sounded huge and the crowd responded accordingly! So now it was time for the headliners. Expectations were high and The Damned did not disappoint. No one sounds like them and anyone who tries to is wasting their time. The current line up has been together for 8yrs but the focal point will always be original members Dave Vanian and Captain Sensible. I’ve seen many bands over the last 30yrs and Dave is certainly one of the best frontmen around as it looks like he was born to be onstage. There are no raps, no swearing or cheesy crowd participation needed as he bellows and croons throughout the 24 song set. Captain Sensible is the antithesis to Dave as he is his usual class clown self, feeding off the crowd’s energy. His guitar work is very underrated as apart from some solid riffing that would put a lot of heavy rock/metal guitarists to shame, he also knows his way around the fretboard delivering some fine solos and fills and the Buckley gig was no exception. The set began with an atmospheric “Sanctum Sanctorum” which shows off their versatility as rather than beginning with a high tempo number they showed off their gothic side with Dave’s voice sounding soulful from the off. This was followed by the chopping riff to a short, sharp run through of Don’t Cry Wolf which led into an almost rockabilly See Her Tonite. The set just got better and better as only 4 dates into the tour The Damned made it seem effortless. Pinch on the drums could probably be heard in the next county, Stu West’s bass runs on his Rickenbacker hit hard and Monty Oxy Moron on keyboards gave the Captain a run for his money in the lunacy stakes. My personal highlights were a guitar heavy “Ignite”, a glorious “Eloise” and a frantic “Second Time Around” as the big hitters of “I Just Can’t Be Happy Today, Neat,Neat,Neat”, “New Rose” and “Love Song” preceded a raucous cover of “Ballroom Blitz”. 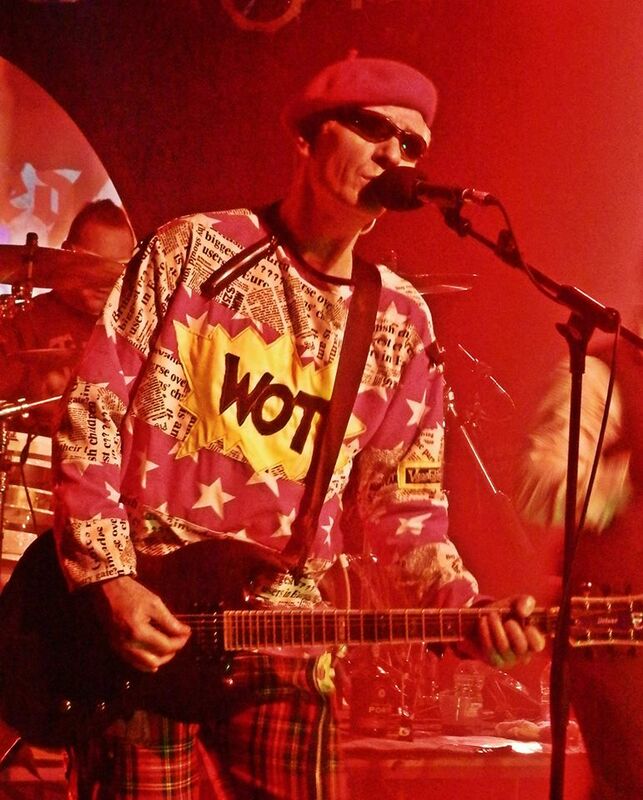 A surprise rendition of “Wot” by Captain Sensible brought the house down and when he returned onstage to strum the intro to Smash It Up and hit the main riff, the Tivoli erupted! I was lucky to meet the Captain after the show for a few minutes which set the seal for my favourite Damned gig ever! I Just Can’t Be Happy Today. I award the gig 10/10 for awesome performances by both bands. A special thank you to Loretta Evans for the use of her photos and to Andrew Latham for The Damned setlist.